Not Included: Lunches. Travel Insurance optional (www.206tours.com/insurance), Supplemental Cancellation Protection @ $299 (www.206tours.com/cancellationprotection), Tips to your guide & driver. Items of a personal nature. Depart USA for your overnight flight to Lisbon, Portugal. Dinner and breakfast will be served on board. Arrive Lisbon. Meet your Priest, tour guide and fellow pilgrims. This afternoon we will enjoy a tour of Lisbon. Sightseeing tour will include a visit of the Cathedral, St. Jerome’s Monastery, Saint Anthony's Church, Belem Quarter: Belem Tower, 25 April Bridge, Discoveries Monument. 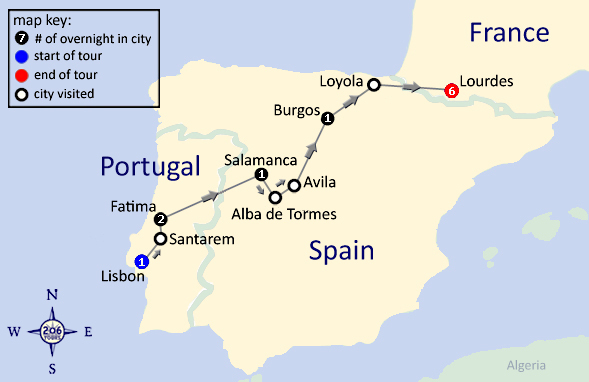 Our drive will also take us through the Basilica of the Star, Rossio Square, Commerce square and Marquee of Pomba Square. Dinner and overnight in Lisbon. 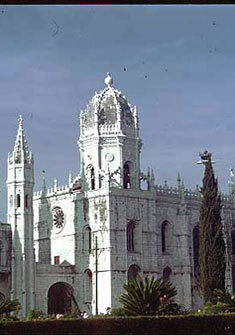 Six times, from the May 13 to Oct 13, 1917, the Virgin Mary appeared to three shepherd children in the diocese of Leiria. A new church has been constructed, however just as beautiful, an older church was constructed here in 1928, and millions of pilgrims visit each year. 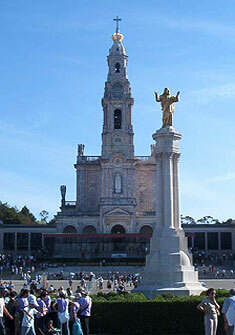 Fatima is one of the most visited holy places for Catholics from around the world. The atmosphere of intense spirituality and the importance of Fatima have been attested to by the visits of two Popes: Paul VI and John Paul II. Touring Fatima, see the Little Chapel of the Apparitions, Basilica, the site of Francesco and Jacinta's graves, the Hamlet of Aljustrel, where the children lived, and Valinhos, the site of Our Lady's appearance after the children's return from prison. Follow the Stations of the Cross along the Via Sacra (The Sacred Way) culminating in the Chapel of Calvary, which overlooks all of Fatima. Join pilgrims from around the world in an evening candlelight procession to pray the rosary. Dinner and overnight in Fatima. 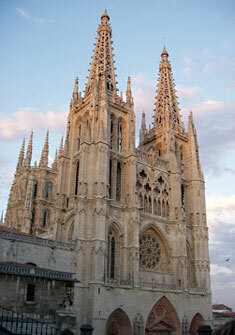 After breakfast depart Burgos, heading for Lourdes, France. En route stop in Loyola, the birthplace of St Ignatius of Loyola, founder of the Jesuits. 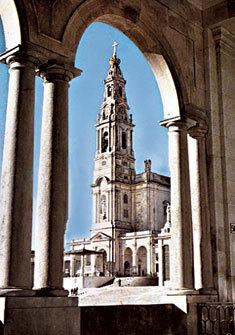 Here, we'll see the 17th Century Basilica dedicated to St Ignatius. Behind the sanctuary is the family home of St. Ignatius, which we'll visit during our stop. The most venerated place in this building is the room where Ignatius at age 30, was brought following his serious wounding at the Battle of Pamplona. Later we motor through the Pyrenees Mountains into Lourdes. Here, standing between the spectacular mountain-river, Gave de Pau, stands picturesque Lourdes, the birthplace of St Bernadette to whom Our Lady appeared in 1858 near the Grotto of Massabielle. Settle into your hotel, explore before dinner, followed by a candlelight procession (every evening from Apr through Oct) before retiring for the evening. After breakfast, our guided tour of Lourdes will include the sanctuary; the Basilica of St Pius X, the world's largest underground church; and the baths where hundreds of miraculous cures have taken place. 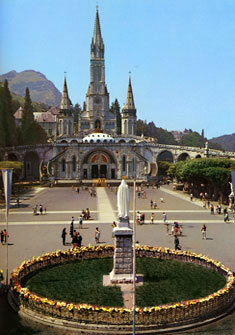 Enjoy a video presentation telling the story of Lourdes, and walk in the footsteps of St Bernadette. See Boly Mill where St Bernadette was born and the "Cachot," an abandoned prison where Bernadette's impoverished family lived. Join your prayers with those of pilgrims from around the world as you pray for the sick, drink water from the miraculous spring, pray at the Grotto and submerge yourself in the healing baths. Experience Christ's love as you walk the life-sized Stations of the Cross overlooking the holy Grotto. 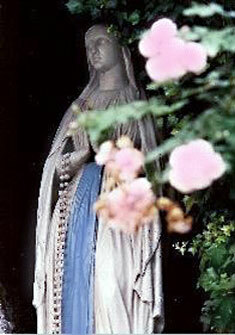 Kneel in the chapel built on the very rock of the Grotto in obedience to the request of the "Immaculate Conception." Attend the blessing of the sick and participate in nightly candlelight processions requested by Our Lady, and take time for private devotions. Each evening dinner and overnight at your hotel. * During the last 3 nights a Catholic Priest and guide may not be accompanying group. The additional nights are intended to provide additional time for private prayer, reflection, and retreat! Early morning departure Lourdes for your homebound flights.